Gambling casino and restaurant complex with a music hall, built 1884-1885 by John Camoletti for François Durel. Also known as "Grand Casino". 700 seats. 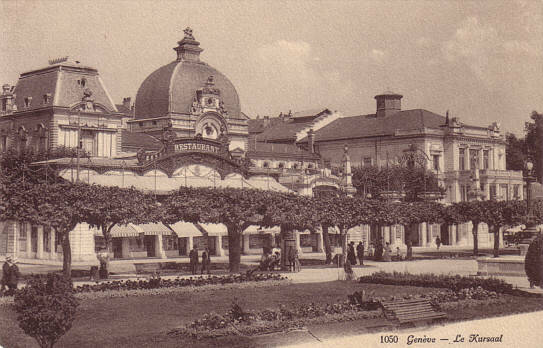 Demolished 1970 in favour of the Hôtel Noga-Hilton. Front Text: "Genève - Le Kursaal"